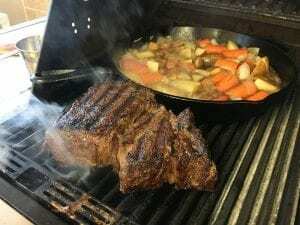 Pot Roast or Chuck Roast – as its known in the butchers shop, is a large cut of meat that needs time to break down and become fall apart good. 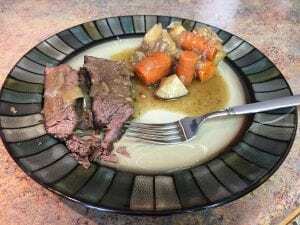 At Nebraska Star Beef we have a great recipe that will create a tender, flavorful, and moist roast every time. 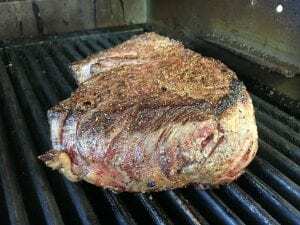 Pot Roast or Chuck Roast comes from the shoulder area. Preheat skillet to high temperature. 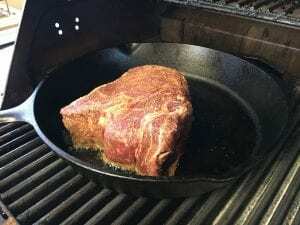 While skillet is heating, coat the roast very lightly with beef tallow or pork lard – coconut shortening or olive oil may be substituted – and season the roast with Nebraska Star Beef Signature Seasoning to taste. The tallow helps the seasoning to stick, and also helps to quickly form a crust when the roast is seared. 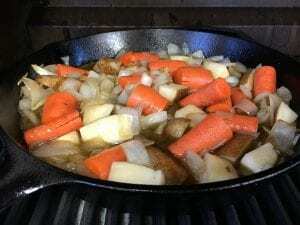 When roast is ready, and pan is hot, place the pot roast into the hot pan and sear all 6 sides to a nice golden brown. Remove the roast from the pan and reduce heat to medium-low. Add a spoonful of tallow or lard (or coconut shortening) to the pan and allow it time to melt completely. 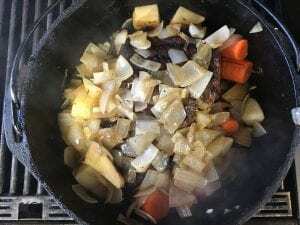 Once melted, add the quartered potatoes, cut carrots, chopped onion and smashed garlic and sauté until the onions become translucent. Add 1 cup of water and 3 Tbs of Worcestershire sauce and bring to low boil. Simmer for approximately 5 minutes on medium heat. 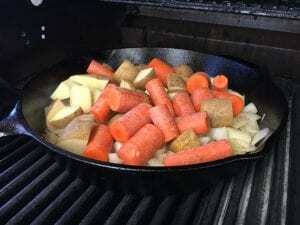 In a stock pot, or small foil pan, add half the reduction to the bottom of the pan. Add the pot roast and the remainder of the reduction to the top of the roast. 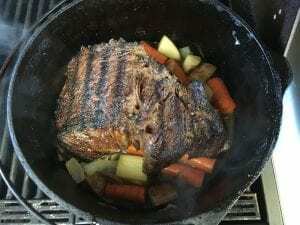 Season with a dash of Nebraska Star Beef Signature seasoning and put the lid on the stock pot, or use foil to completely seal the foil roasting pan. 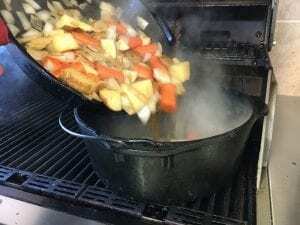 When finished, remove the pot roast from the pot and wrap it completely and tightly with a couple layers of foil and allow it to rest for at least 30 minutes. 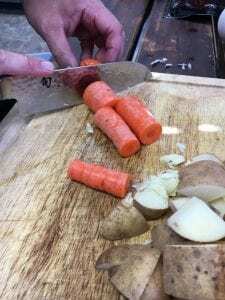 Remove the carrots and potatoes to separate serving bowls and cover. They may be placed in a warm oven (170F) to keep them warm while roast is resting. 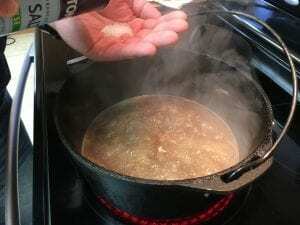 Pour the juice from the pot (to include onion and garlic and any other remaining “chunkies”) into a sauce pan and bring it to a boil. While it is heating, mix 1 Tbsp. 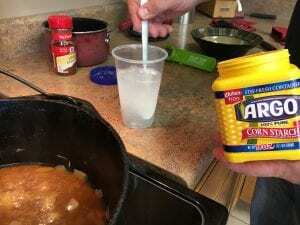 Corn Starch with 1 Cup COLD Water and stir until starch is completely dissolved. 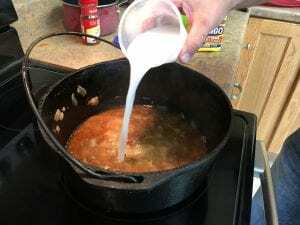 Add the water and corn starch mixture to the drippings and stir, the corn starch and water will cause them mixture to thicken and become a gravy to serve with the pot roast and vegetables. 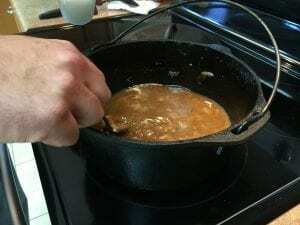 When it reaches the desired consistency, pour into a gravy boat or serving bowl. 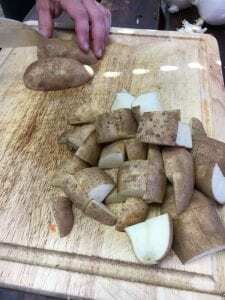 Once the roast has rested for at least 30 minutes, unwrap the roast and slice it into 3/8” thick slices and serve with potatoes, carrots and gravy. Here are the makings of a great meal. 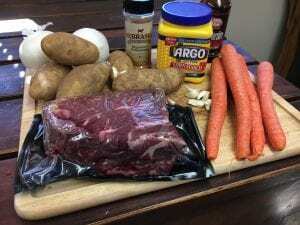 Nebraska Star Beef Chuck Roast, fresh garlic, onions, potatoes and carrots. 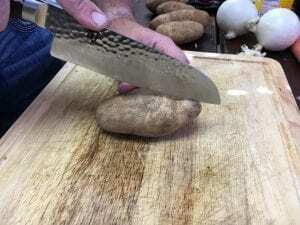 Sharp knives are safe knives! This is a fun and simple recipe, just chop the vegetables coarse and make a pile. 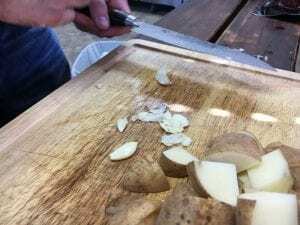 Now garlic – We had in interesting discussion on the correct way to process the garlic. Smash vs. peel . And some carrots… don’t cut them too small. 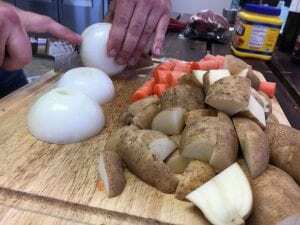 Onions…cousin Steve-O likes to chop them into 1/8ths..leaving them very coarse. ” there was yet another discussion on the best way to cut an onion. Not as intense as the garlic discussion. 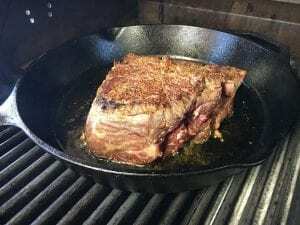 Preheating the pan for the pan sear… we are using a gas grill – indirect flame type grill – as searing can smoke up a kitchen pretty well. 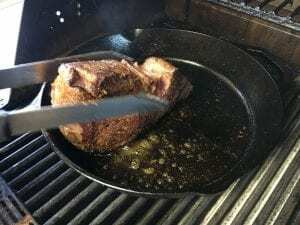 Doing the sear outside, or where there is a strong vent fan is helpful. 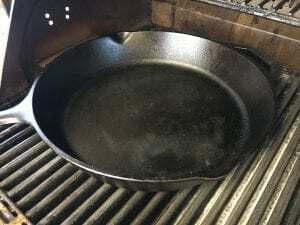 Cast Iron is known for its even heat distribution that helps in the searing process. Season the roast just like you would season a steak. It is also helpful to coat the roast lightly in beef tallow, lard or olive oil. This will help it sear more quickly. 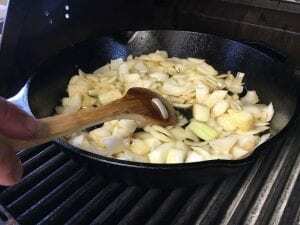 Add some extra virgin olive oil, beef tallow or lard to the pan when it is hot. Then put the roast in and let it sear. 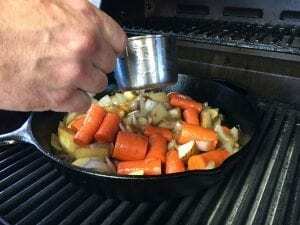 The roast will “let go” of the pan when it is ready to flip over. — at Nebraska Star Beef. 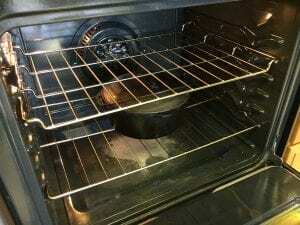 Put the roast in a preheated 200F oven and let it hang out for a few hours. It is basically impossible to overcook the roast when using this method. The ideal internal temp of the roast is 170 – 190F, which can be monitored with a meat thermometer. However, once the roast is “fork tender” (you can stick a fork in it easily) it’s ready to rest and serve. Remove the roast and cover it with foil and allow it to rest for at least 20 minutes. This is also the time to remove the vegetables. They can be separated into separate bowls, or just put into one serving bowl. We just use one… Resting the roast will allow all the fibers to relax and become more tender. 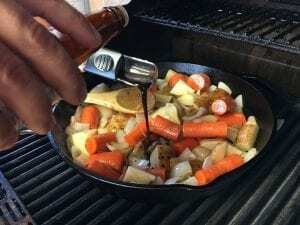 While the roast is resting, it’s a great time to make some gravy for the vegetables. — at Nebraska Star Beef. Starting with the liquid that remains in the pot after cooking, place the pot on the stovetop and begin to simmer. Mix a teaspoon or two of corn starch into COLD water. (make sure to use cold water or it will be clumpy) and add the mixture to the pot. — at Nebraska Star Beef. 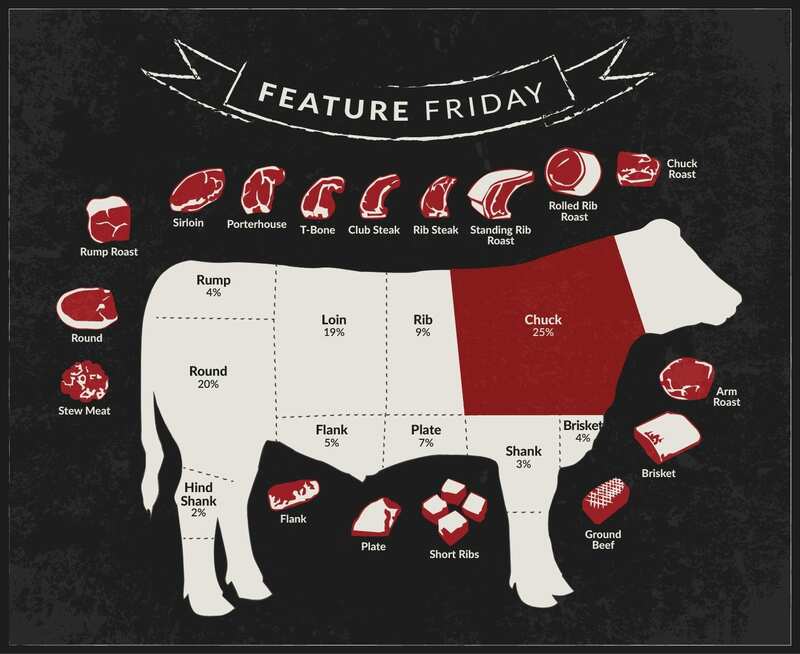 All Natural Beef supplied exclusively Nebraska Star Beef. 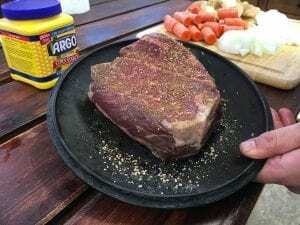 Harvest Chili	Filet Mignon – How to Cut Your Own !